Ever since I started working in a cubicle environment, I feel like I get sick much more frequently than I used to. Although we have unlimited sick days at work, I don’t like to use them unless I’m truly sick and can’t get out of bed. For all the minor coughs and colds, I’ll still come in and get my work done even if I should probably be resting at home. But who wants to stay at home and watch TV all day when you’re sick? That can get old quickly. The problem with this mentality though, is that everyone has it. If you’re a manager and two of your employees have similar performance, and you have to lay someone off, who are you more likely to get rid of? The guy who’s sick all the time or the guy who never misses a day. Most employees know this so that’s why they still come in when they’re sick and that’s when the cold and flu start to spread. This flu season, I decided to get a flu shot to try and protect myself from my co-workers. A flu shot is essentially a vaccine, and each year it contains a weakened or inactivated flu virus. When your body sees this inactivated virus, it creates antibodies that will help fight off future attacks should you encounter the live version of the virus in the future. Now you won’t be impervious to the flu if you get this shot, but it will protect you against the strains that are expected to be the most common and most serious. I have a HSA/HDHP(and you should too!) through my employer so I figured a flu shot would have to be covered as preventative care. I mean the shot is trying to prevent the flu, but when I called in to Aetna, I got different answers from different reps. One rep told me that it would be covered and another told me that it would not be. I ended up going to a couple pharmacies and the second one(CVS) that I went to told me I was covered! I’m not sure why the first one(Ralphs) told me I wasn’t covered and CVS told me I was, but if you’re going to get your flu shot, make sure you ask around to see if you’re covered. Now your prices may vary depending on what area you’re in, but I couldn’t find anyone with a lower price than Costco(big surprise huh?). I included my employer option because this can be the most convenient for a lot of people. Most large companies will offer reduced or sometimes free flu shots to their employees around this time because they don’t want them to get sick. Subsidized employer flu shots are usually the cheapest option so be on the lookout over the next month or so. If you have a HSA/HDHP combo, your flu shot should definitely be covered as preventative care. Most plans allow you to go to your own doctor to get the shot administered or to send in a receipt from a pharmacy like CVS and get reimbursed. I don’t trust insurance companies so I wanted to make sure I didn’t have to pay one cent out of pocket. When I went to CVS, they told me I was covered, so I got the shot and was on my way, no money out of pocket. If you don’t have insurance, the flu shot will cost you $32 at CVS. If you have Aetna health insurance, but no preventative care coverage, the shot will cost you $22.50. If you have Aetna health insurance with preventative care coverage, the shot will be free! I know there are some arguments against getting a flu shot, but if you can get it for free, there’s really no reason not to. Even if you still end up getting sick, I think it’s worth it to try and prevent it for $30 or less. The amount of time I would lose from getting sick just once is worth a lot more than $30 to me. Readers, have you ever gotten a flu shot or do you plan on getting one this flu season? Are there any reasons not to get one if it’s free or only $20? I never got a flu shot, but I work from home. I try to prevent the flu with a healthy diet, warm clothing and avoiding sick people like the plague. If your body is strong you shouldn’t get sick, sickness happen when your defenses are low. 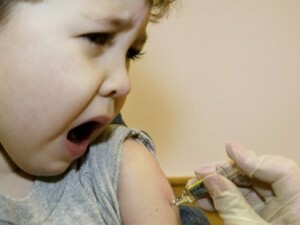 I hate needles, so virtually never get the flue shot, but I’m actually considering it this year. Why? Mostly Greed. My insurance company sends out “flu cards” to get free flue shots – basically a co-pay waiver if we get our flu shot before flu season kicks in big. On top of that, Target sent me a coupon that if I get a flu shot there, I get a $10 gift card. I don’t think that’s greedy, that’s just being smart! I would definitely be less inclined to get the flu shot if it wasn’t 100% covered. But at the same time, if you have an HSA it should be deductible so the cost would be 30-45% less depending on your tax bracket. You’re lucky that your HDHP covers the flu shot as preventative care! My employer actually does flu clinics in our offices by last name every year, for free. I sometimes get it, sometimes not. I think if we’re out of town when they do the flu clinics in the offices, we might be able to get it for free at a pharmacy or something? I’m not quite sure. I’m not sure but I feel like a flu shot has to be covered by any HDHP that fully covers preventative care(I think most of the ones paired with HSA do). More employers should just give them out for free IMO. I feel like the shots would be most effective in a workplace environment, but some companies are pretty cheap and don’t see the obvious long term benefits. We started getting flu shots a few years ago when we started having kids. I actually started at my last job becuase I was in a cube farm and people were always getting sick. In my opinion, it only takes a few minutes and does not cost much at all and is much better than actually getting the flu. John, I totally agree with you. There’s very little downside and the cost is so negligible there’s no reason not to do it. If it works just one year out of ten, that is still ok with me. My mom got the flu shot and then got pretty sick, twice in one winter. Could have been a coincidence but I have heard a couple of instances of this. A cubemate who also had the flu shot for the first time in his life was out sick for a total of about couple weeks one winter — enough anecdotal evidence for me to steer clear of the shot. I don’t really see how getting a flu shot could possibly get you sick. The flu shot is basically a dead flu virus who’s DNA has been altered so that your body can still recognize it and build up antibodies when it encounters it for the first time. There are hundreds if not thousands of different types of flu strains, the flu shot will only protect against whatever the CDC thinks will be the most common strains of flu this year. So of course it’s still possible to get sick but it will provide some protection if you encounter one of the flu strains you were vaccinated for. The same thing happened to me. The twp years that I got the flu short, I was way sicker than usual. I think that the shot affected my immune system and made me more vulnerable. Never again ! Interesting, maybe there is something to getting the shot that weakens your immune system, whether it’s mental or physical. I’m no biologist but I think your mental state of mind can make a big difference on your body. Either way, I know the best way to prevent getting sick is eating healthy, exercising, washing your hands frequently, and not coming in contact with sick people! In my travels to Asia, I’ve seen people who get sick(and people who don’t want to get sick) wearing masks in public places like the subway. That’s probably the way to go but you would like like a weirdo if you did that here, haha. We are very lucky because our flu shot is covered by our health care plan. I am actually going to get mine today. Awesome, definitely a no brainer if it’s covered! The flu shot was offered at my work yesterday for $20 but I’m sure a lot of people didn’t even realize they were covered. So the only way to get my mom to have a flu shot, was to also get one. We went to Osco and I was very happy that my insurance paid for the shot, but was pleasantly surprised when I got a $25 gift (Jewel/Osco) certificate. We got the flu shot last month so I don’t know if they are still offering this. If you are on the fence about getting a flu shot, please get one, as there are very few reasons not to. I couldn’t agree more with you, there’s very little downside to getting a flu shot, especially if it’s covered! When I got my flu shot at CVS, they gave me a 20% off coupon haha, not quite as good as $25 but better than nothing..